Researchers are studying the possibility of hydrogen fuel production using green energy; an advancement that can bring alge produced biofuel to a whole new level. Bioenergy is energy that is produced from biological sources such as plants, agricultural crops and living organisms. Fuel, also known as biofuel, can be derived from these biological or organic sources. It is renewable, natural, and environmentally friendly. 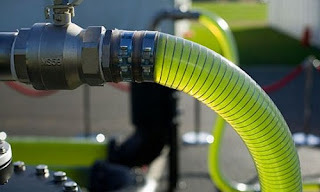 One primary source of biofuel is algae. It is noted that one acre of algae can produce between 1,000 to 5,000 gallons of biofuel each year. The fact that it is sustainable and renewable, biofuel technology has grown tremendously with global biofuel production growing from 17.8 billion liters in 2009 to 21.4 billion liters in 2011. New research results from Uppsala University, Sweden, instill hope of efficient hydrogen production with green algae being possible in the future, despite the prevailing scepticism based on previous research. The study, which is published today in the esteemed journal PNAS, changes the view on the ability of green algae – which is good news. "As much as 80 per cent of the electrons that the hydrogen-producing hydrogenases need come from Photosystem II, which is much more than previously believed. This means that most of the hydrogen production is driven directly by solar energy. The discovery gives us hope that it in the future will be possible to control the green algae so that the efficiency becomes significantly higher than it is today", says Professor Stenbjörn Styring.